This week’s lectionary focus is food. Gloria Dei’s focus is often food. Sometimes it is yummy food for us. Potlucks, coffee hour, catered events, Bible studies, birthday celebrations…. lots of good food around here. But many times, Gloria Dei’s focus is on food for others. As I write this, a group of cooks in the kitchen below are creating delicious smelling meals to be frozen then given out to those who need a little meal support for some reason or the other: a death in the family, a birth in the family, an illness in the family, or sometimes just the craziness and overwhelming-ness of life. We take a special offering each month for the national church’s World Hunger fund. Our “shopping basket” is out each Sunday for the local food bank. The Social Ministry committee provides weekly backpacks of food for around 30 school children to provide them with food for their weekends. 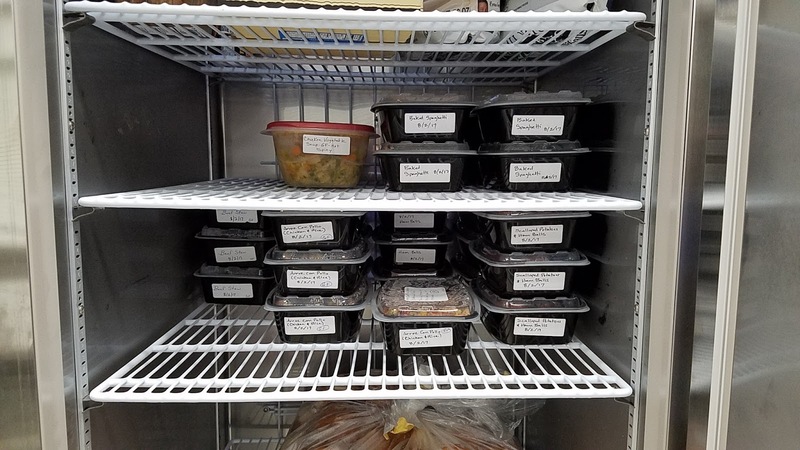 We cook and serve at the community’s free lunch program once a month as well as preparing and serving a monthly meal at Ronald McDonald House, (for families with hospitalized children). We participate in the yearly CROP walk to end hunger. And have written letters to the legislature to advocate for the hungry in this nation and others through Bread for the World. This winter, we held a fundraiser to benefit Table to Table, the local food recovery and redistribution organization. Out near the street we have a “Little Free Pantry” and a “Little Free Garden”. This fall we are planning a meal-packing event to provide 10,000 meals to our regional food reservoir and a pig roast, half of proceeds going to world hunger and half to local hunger organizations. Really, Gloria Dei likes to focus on food. 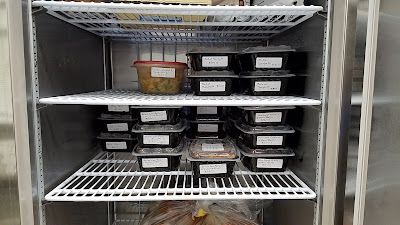 I am going on and on about all the ways my congregation feeds the hungry because, as I said, this week’s lectionary focus is food. Isaiah speaks words of comfort and promise to a people who have been taken from all that has given them identity, meaning, security: Everyone who is thirsty come to the waters … come, eat what is good, and delight yourselves in rich food. Isaiah invites them to the feast for free (hmmm – sounds like grace). Yes, this may be speaking to a different kind of hunger…. Gloria Dei does offer a feast which gives identity and meaning and security - through Word and Sacrament, and friendship, and education, and working on behalf of others …. And that brings me right back to the stomach-growling kind of hunger. The psalm is a word of trust in God’s providence: You open wide your hand and satisfy the desire of every living thing. And it is a word of gratitude for God’s graciousness. Then we come to the feeding of the 5000 in the Gospel of Matthew (note: this is the only “miracle story” that is told in all four Gospels; I’m sure that says something important about the story). Like the disciples in the story, we often tend to focus on scarcity – on what we don’t have. Jesus and the psalmist, and Isaiah are focused on God’s abundance. What change in attitude and action does focusing on divine abundance bring? Who would you invite to a free feast of plenty? Is there abundance or justice in our society’s food distribution? Are there actions we could take? Really folks, there is a comment section at the bottom of the page!